AMPLIA BRECHA DE COBERTURA DE SANEAMIENTO BÁSICO DE CALIDAD EN LA ZONA RURAL. BAJO PORCENTAJE DE POBLACIÓN QUE DISFRUTA DE AGUA SEGURA. GESTIÓN INADECUADA DE LOS SISTEMAS DE AGUA POTABLE URBANOS Y RURALES. PROGRAMA REGIONAL DE SANEAMIENTO RURAL. PROMOVER LA PRIORIZACIÓN DE LAS INVERSIONES MUNICIPALES PARA INCREMENTAR SUSTANTIVAMENTE EL PORCENTAJE DE SISTEMAS RURALES Y URBANOS QUE PROVEEN AGUA SEGURA. EJECUCIÓN DE LOS PROYECTOS DE SANEAMIENTO RURAL DE LAS PROVINCIAS DE CAJAMARCA, CELENDÍN Y SAN MIGUEL, CUTERVO, BAMBAMARCA Y CHOTA, CUYOS ESTUDIOS SE HAN COMENZADO EN EL AÑO 2018, CON UN MONTO DE INVERSIÓN DE 600 MILLONES DE SOLES, FAVORECIENDO A 350 LOCALIDADES. CRECIMIENTO DE LA INSEGURIDAD CIUDADANA Y RESPUESTAS FRAGMENTADAS E INEFICIENTES PARA ASEGURAR EL DERECHO DE LA POBLACIÓN A CONVIVIR EN UN CLIMA DE PAZ Y SEGURIDAD. CONTRIBUIR A LA FORMACIÓN DE UN SISTEMA DE SEGURIDAD COMUNITARIA QUE IMPLEMENTE POLÍTICAS Y ACCIONES ALTERNATIVAS FRENTE A LAS ACTIVIDADES ILÍCITAS Y LA INSEGURIDAD CIUDADANA ESTRATEGIA PREVENTIVA Y PROACTIVA DE SEGURIDAD CIUDADANA Y COMUNAL, FORTALECIENDO LA PARTICIPACIÓN DE LAS RONDAS CAMPESINAS. ECONOMÍA AGRARIA DE BAJA PRODUCTIVIDAD Y RENTABILIDAD, CAUSADA POR LA PREVALENCIA DEL MINIFUNDIO, USO DE TECNOLOGÍAS TRADICIONALES, AUSENCIA DE APOYO TÉCNICO Y FINANCIERO Y FUERTES BARRERAS DE ACCESO A LOS MERCADOS. REVALORAR Y FORTALECER LA PRODUCCIÓN FAMILIAR CAMPESINA (AGRARIA, FORESTAL, ACUÍCOLA, ARTESANAL Y TURÍSTICA), EN EL MARCO DE UNA ESTRATEGIA DE SEGURIDAD Y SOBERANÍA ALIMENTARIA. TITULACIÓN DE TIERRAS, HASTA ALCANZAR EL 50% DEL TOTAL DE PREDIOS DE LA REGIÓN (470 MIL PREDIOS) IRRIGACIONES: 25 MIL HECTÁREAS DE RIEGO, CON 9 REPRESAS Y UNA INVERSIÓN APROXIMADA DE 350 MILLONES DE SOLES. PRESENCIA DE PASIVOS AMBIENTALES QUE AFECTAN LA SALUD COMUNITARIA E INCREMENTO DE PEQUEÑA MINERÍA Y MINERÍA ARTESANAL INFORMAL O ILEGAL. MEJORAR LA GESTIÓN AMBIENTAL DE LA PEQUEÑA MINERÍA Y MINERÍA ARTESANAL, CONTRIBUYENDO A SU FORMALIZACIÓN Y CONTROL EFECTIVO, CON ESTÁNDARES ADECUADOS DE RESPONSABILIDAD AMBIENTAL Y SOCIAL. 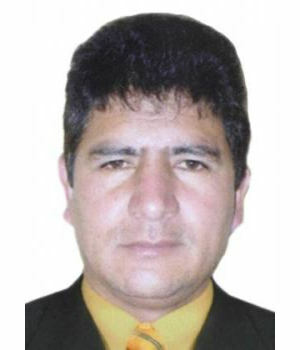 FORMULACIÓN E IMPLEMENTACIÓN DE PROYECTOS DE REMEDIACIÓN DE PASIVOS AMBIENTALES, PRIORIZANDO HUALGAYOC, CAJAMARCA Y CAJABAMBA.